Riddle Me This, Reader. What is old yet also new, never dull and dressed in blue? Give up? It's the Silver Age Batman, of course! 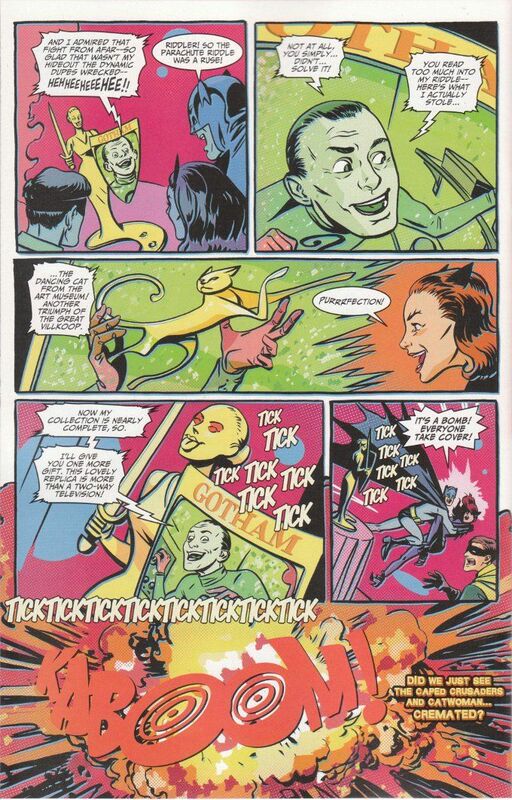 For Messers Jeff Parker and Jonathan Case have brought him back in style with Batman '66! 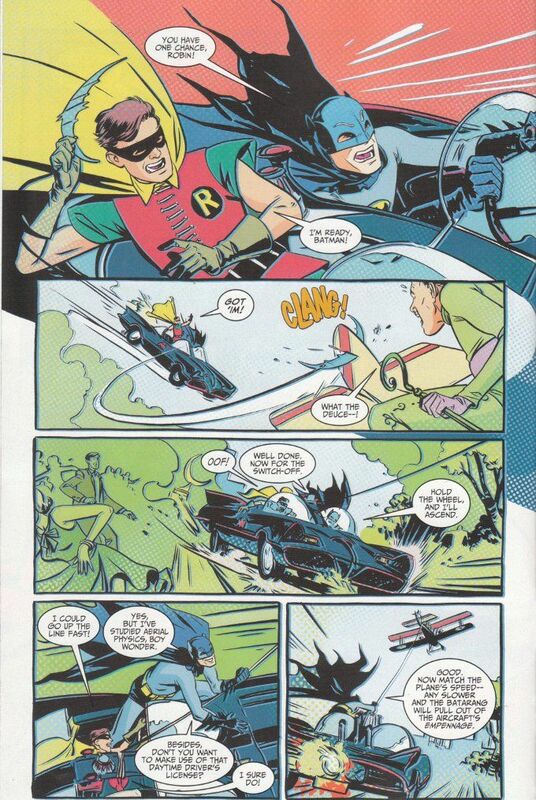 Simply speaking, if you love the Batman TV series with Adam West and Burt Ward, you'll love this comic too. The story of this premiere issue centers around The Riddler's latest crime-spree, stealing the works of a sculptor famous for placing hidden messages in his art. The feline femme fatale Catwoman becomes involved in the hunt for The Prince of Puzzles as well, after a double entendre hidden in The Riddler's riddles sends the Dynamic Duo crashing through her new legitimate business - a go-go club called the Meow Wow Wow! Jeff Parker's script reads like something from the classic series in terms of plot and dialogue. It's not hyperbolic for me to say this issue features everything you could hope for in a Batman episode. It even features a celebrity cameo by another famous bat-man! The artwork of Jonathan Case is a perfect match for Parker's script. Case captures the essence of Swinging Sixties camp, with the bright colors adding to the mod aesthetic. He also does a fine job caricaturing special celebrity guests Frank Gorshin and Julie Newmar along with the Dynamic Duo themselves. Will the Caped Crusaders Clashes With Colorful Costumed Criminals Continue To Cheer The Cynical Starman? Tune in next month to find out! Same Bat-Time. Same Bat-Book!